Who may apply for a Tier 1 Investor visa? The Tier 1 (Investor) Visa is aimed at non-EU nationals who want to invest £2 million of their own money in the UK. You have opened a UK bank account for the purpose of investing not less than £2 million. You will not be required to provide evidence of the source of funds, if they have been held 90 consecutive days before the date of the application. Although, you will need to show that the funds are genuinely yours that you are at liberty to invest freely, and that they have been obtained lawfully. If the funds have not been held 90 consecutive days before the date of the application, you will need to provide evidence of the source of funds. Types of evidence of source can include a divorce settlement, a gift, a will, a deed of sale, award of winning and other source(s). If a third party provides the funds, you will need to demonstrate that there is nothing about the character, conduct or associations of that person that would mean granting your application would not be conducive to the public good. You have £1 million funds under your control in the UK. You have £2 million funds under your control in the UK. After 2 years if you invest £10 million in the UK. Please note, you are allowed to spend 180 days (6 months) outside the UK each year, and still be able to apply for indefinite leave to remain. Once you have been settled in the UK for 12 months (indefinite leave to remain), you may be entitled to apply for naturalisation as a British Citizen. 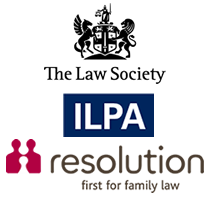 With the policies and rules frequently changing, the complexities of the law and the present requirements being tough, we appreciate that clients place trust in us to provide expert advice and a first class service. Here at Advantage Solicitors, we can reassure you that we prepare and submit visa applications to the highest standards, provide excellent legal representations and continue to have a successful track record for our clients.